An accessory that earns its stripes! The tea towel set BELT in the colour combination ÔLily WhiteÕ and ÔRose DustÕ is both practical and decorative. 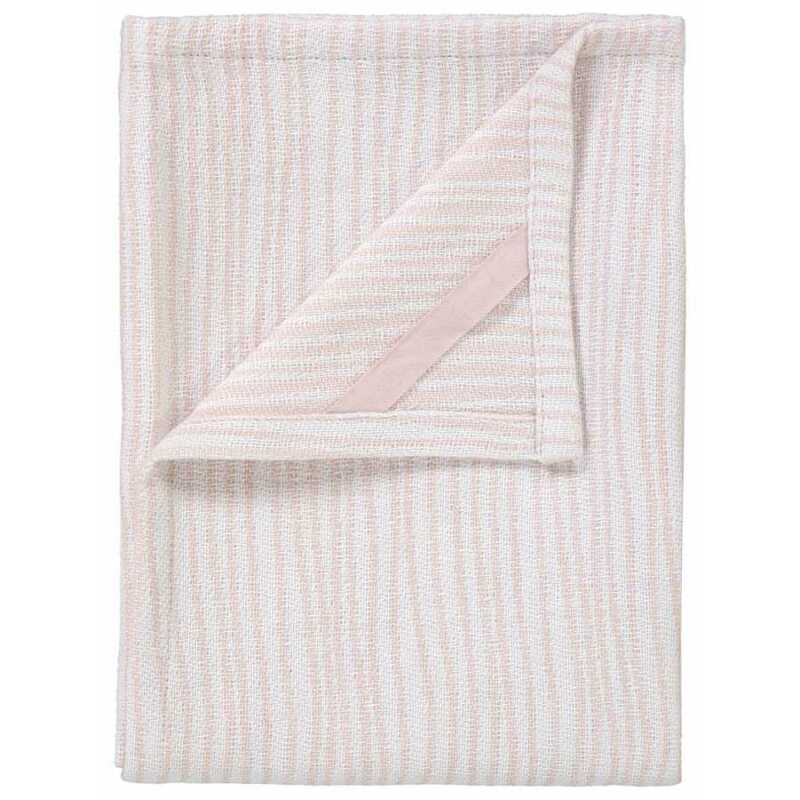 The attractive striped design in cream/white and delicate pink harmoniously accessorises your kitchen. 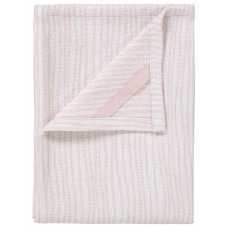 The high-quality, woven cotton towels are robust, absorbent and made to last. With loop for hanging. Washable at 40 degrees Celsius; suitable for tumble drying. 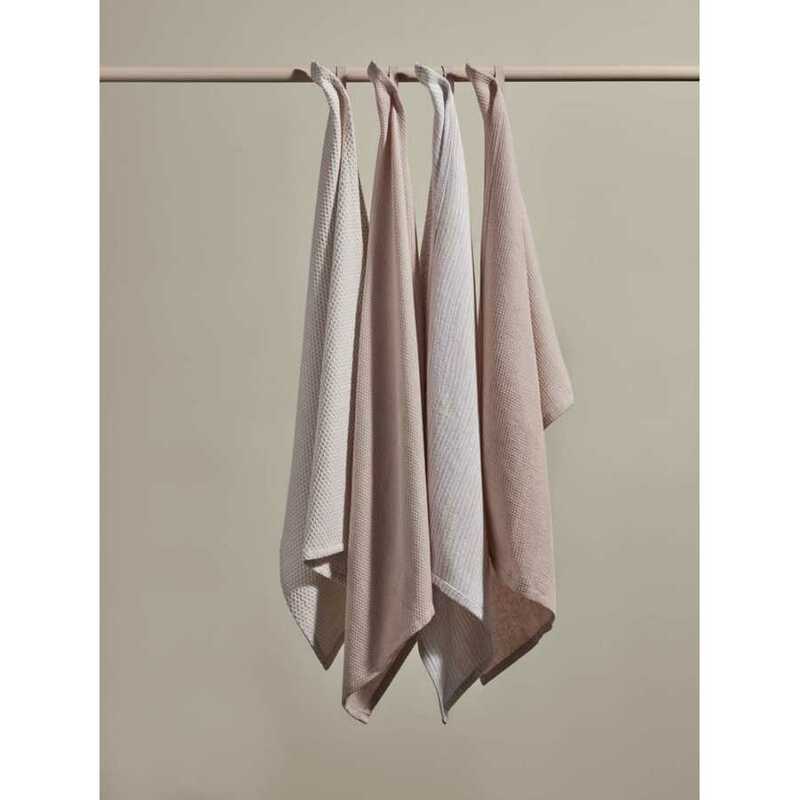 Available in four additional colours.